This blog is written and edited by me, Katie Emery! 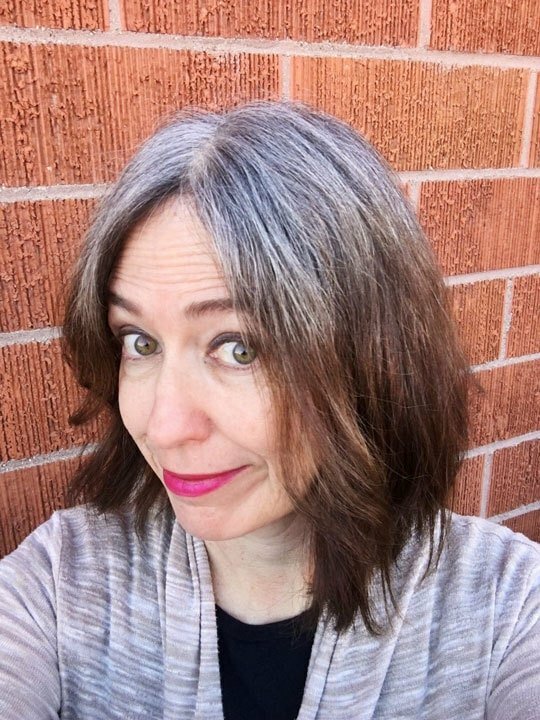 I started this blog because I was excited about my silver hair journey and wanted to share my excitement as well as provide valuable information to my fellow silver sisters. All opinions are 100% my own, except those provided by my interview subjects in the Silver Hair Transition Stories. All product reviews and recommendations are only for products I have either used myself or that have come highly recommended to me by my fellow silver sisters. If I don’t believe in a product or company, I will not share their info on my site. If there is a sponsored post on my site, the review is my own and is not influenced by anything I may have received. I am sometimes provided with a product for review and am allowed to keep the product for my personal use. I always disclose this in my product review, as I believe in transparency. Amazon Affiliate Disclosure: Please note that some of this site’s links are affiliate links. Katie Goes Platinum is a participant in the Amazon Services LLC Associates Program. As an Amazon Associate, I earn from qualifying purchases. I will earn a small commission (at no additional cost to you) if you purchase items through my product links.